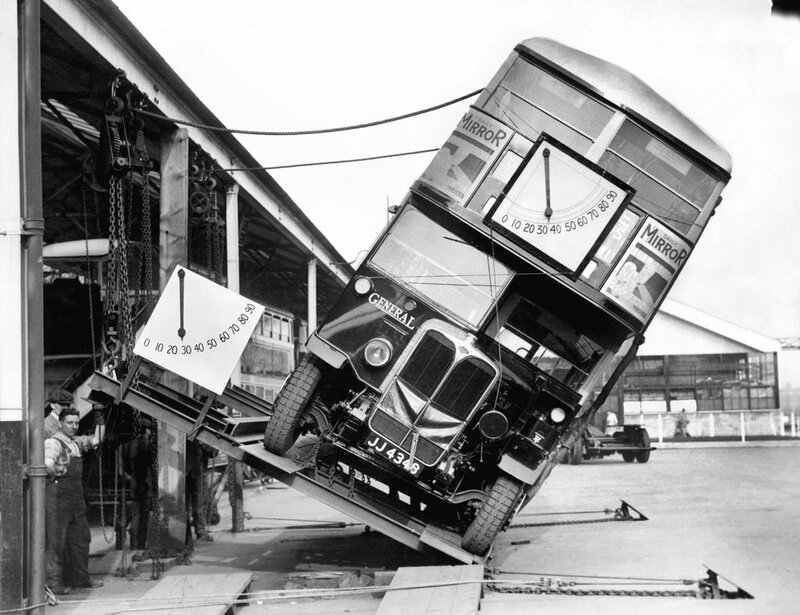 Double-decker bus tilt test in 1933, London. Add people and it would probably flop at 20*. My grandfather was a bus driver for London Transport his his whole working life, as a youngster I asked him the same question, he said he never heard of a bus tipping over. The test had sandbags on seats on the upper deck to simulate 60 passengers. We couldn't use double deckers here in S.E.Q (Brisbane) due to the camber of our roads for tropical storms.